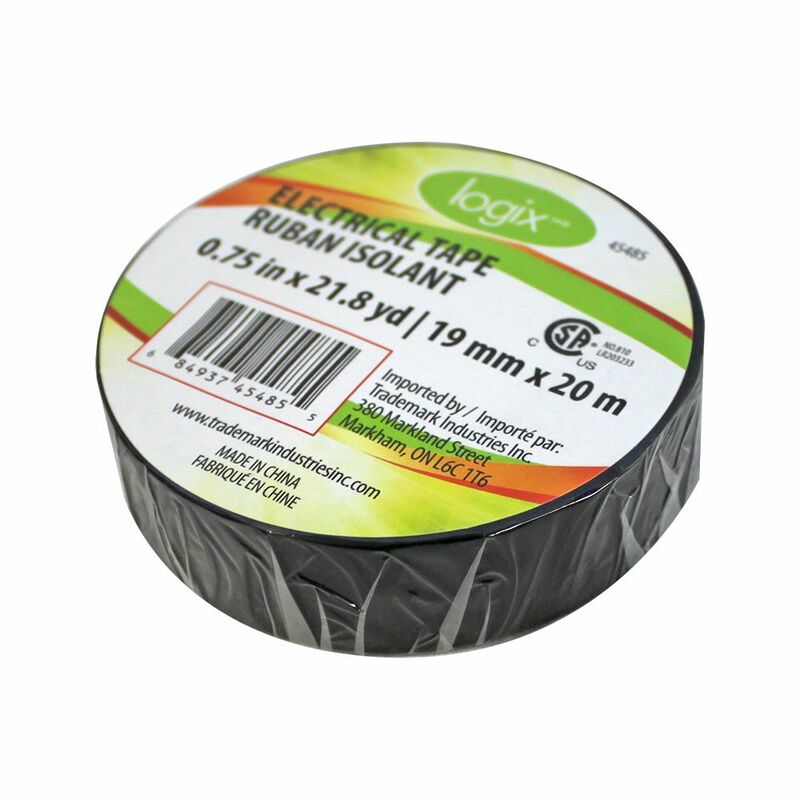 This Logix Electrical Tape is ideal to insulate electrical wires and other material that conduct electricity. It is flame retardant and sunlight resistant to provide a durable bond. Size: 0.75 inch x 21.8 yd. Electrical Tape, 2 Pack This Logix Electrical Tape is ideal to insulate electrical wires and other material that conduct electricity. It is flame retardant and sunlight resistant to provide a durable bond. Size: 0.75 inch x 21.8 yd.